Animate Projects and The Photographers’ Gallery, London have sent word of their call for proposals for an artist to make work for The Wall at the Photographers’ Gallery and online at Animate Projects. Happenstance is a fantastic commissioning opportunity that brings together the UK’s leading organisations for two popular, related visual artforms – photography and animation. The historical relationship between photography and animation (Eadweard Muybridge) and the tensions between still and moving are now encoded into DSLR cameras (capable of higher frame rates than traditional DV cameras). In everyday life, screen technologies have already altered the ways in which the visual image is made present and play a significant role in mediating public life. These are some of the considerations that we hope to explore in contextualising the project and exploring ideas of digital production and spectatorship. The Photographers’ Gallery was the first independent gallery in the UK devoted to photography and has been instrumental in establishing photography’s important role in culture and society. It is the UK’s primary venue for photography with a mission to support a varied and distinctive engagement with the artform. Animate Projects champions experimental animation, supporting artists to experiment and take risks, and working across the contemporary visual arts, animation, film and design, and where those practices intersect. Animate Projects has pioneered the exhibition of artists’ moving image through online and digital platforms. animateprojects.org is a unique resource, presenting experimental animation and a wealth of related material, in a curated context. Happenstance builds on the synergies between the two artforms and both organisations’ curiosities about how people interact with public screens and digital images. 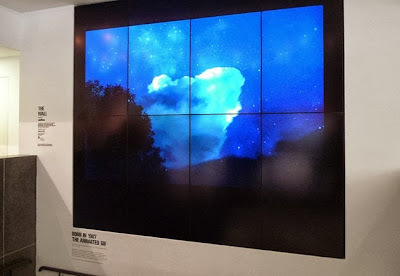 The Wall is a 2.7 x 3m video wall in the foyer of The Photographers’ Gallery, visible to everyone visiting the building and passing by. For the Gallery, The Wall forms part of a collaborative research programme exploring issues concerning the digital image, its dissemination and display on-screen. A particular aspect of The Wall is its specific context within a photography gallery and we want the project to further critical debate around medium specificity, digital culture, and the relationship of photography to 'animation' in ‘on-screen’ contemporary visual culture. The commission is open to UK-based artists working in photography and moving image. Our priority is to commission work that responds to the public and online contexts in which the work will be situated, and which explore photographic and animated moving image practice in inventive and interesting ways. Please see below for technical information about The Wall. Advice, support and assistance will be provided to the commissioned artist. The organisers also state that they are open to discussion as to what the online presentation of the project will comprise, eg a single channel version of the work, or a series of tests or other material. Online, the project will be presented on its own page (for example, here). For exhibition at The Photographers’ Gallery the work will be silent, but the online version can be silent or with sound. £5,000 is being offered, to include all production, clearances and delivery costs and an artist’s fee. We will require commissioned artists to provide production materials (eg sketches, tests) and to undertake an interview for online, a digital image for a limited edition print, and to take part in a panel discussion. They will contract the selected artist by the end of October 2013, and the completed work must be delivered by 17 December 2013. 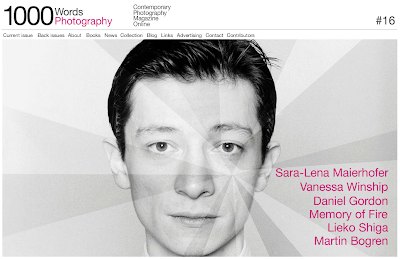 The work will be exhibited at The Photographers’ Gallery from 17 January 2014 for approximately 10 weeks. In your proposal, please tell us your idea, and give us a clear indication of work you’re proposing to make, including visual style and technique, and provide any key production information eg collaborators, other assistance, etc. The deadline for submissions is 10.00 on Fri 11 October 2013. Please note that we may invite shortlisted artists to discuss their project on 21 October (in person or by Skype). The selection will be made by Katrina Sluis (Curator, Digital Programme, The Photographers’ Gallery) and Gary Thomas (Director, Animate Projects). The Wall sits in the ground floor of the gallery above the stairwell, and operates 08.00 – 21.00 each day, and is visible to passersby on Ramillies Street. It is a 2.7 x 3m video wall consisting of 2 x 4 rows of 60” Sharp PN-V602 LED, with the screens in portrait format mounted into an aperture so it is flush with the wall. 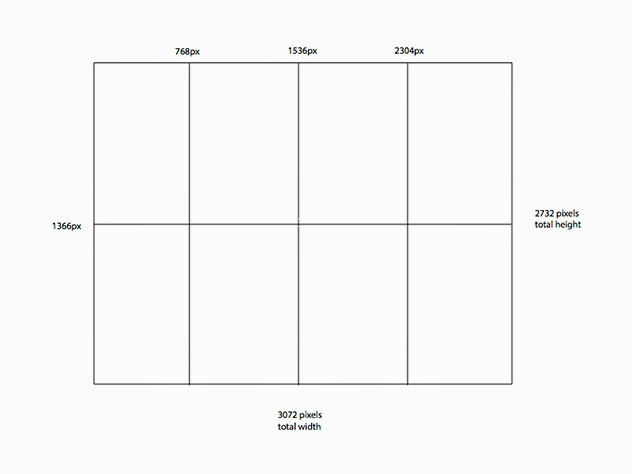 Each screen has a resolution of 1366 (h) x 768 (w) pixels. 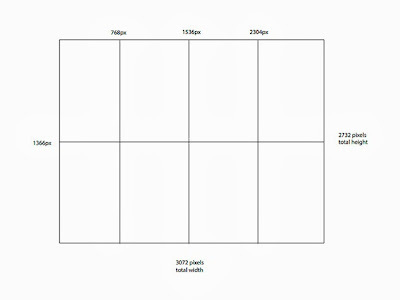 The Wall in total is 2732 pixels (h) x 3072 pixels (w). The screens have incredibly matte rich blacks and are high brightness so (with the correct settings) colour can become highly saturated and intense. There is a possibility that subtle greyscale images will have more density and increased contrast, so please keep this in mind. The backend is a single PC with a single video card with multiple outputs for the wall. The programming/control of exhibitions is via SCALA digital signage software. We can accept video either as a single 2732 x 3072 file, or can accept multiple files which can be arranged across the entire 2732 x 3072 px canvas using SCALA. Please note that The Wall has lines or bezels visible between the screens which one should be aware of (particularly with text). To kick off this Autumn edition we meet young, German photographer Sara-Lena Maeirhofer. Speaking here to Natasha Christia, she discusses Dear Clark, a Portrait of a Con Man, a fascinating project that uses photography to explore the possibilities of fiction in its narration of real-life imposter Christian Karl Gerhartsreiter, who called himself Clark Rockefeller, having developed an identity as a scion of the wealthy family. Michael Grieve brings us an a essay on the latest photobook by British photographer Vanessa Winship, she dances on Jackson, records of her road trip across the US produced during a time of grieving. Brad Feuerhelm takes a look at the recently released title from Morel Books, Still Lifes, Portraits & Parts by Daniel Gordon, imperfect paper constructions that spring from the fractures between photography, sculpture and painting. Over in our dedicated Books section, Sean Stoker leafs through Pedro Costa’s Casa de Lava, a scrapbook filled with ephemera following the Portuguese filmmaker’s trip to Cape Verde in 1992; Brad Feuerhelm gets vertigo as he stares down at Eric Stephanian’s devastating but beautiful Lucas, a self-published zine comprising one single photograph of the photographer’s son, taken on the only opportunity he was given to meet him; while Oliver Whitehead considers the more clinical but nonetheless intriguing new book from Clare Strand entitled Skirts. As always, we are very grateful to the many photographers and writers involved in this magazine project and would like to express a special word of thanks to Sean Stoker for his editorial assistance. Joachim Schmid introduces his latest project, X Marks the Spot - a thought-provking meditation on a key moment in the US's history and the role photography and surveillance plays in memorialising it through the prism of digital culture. 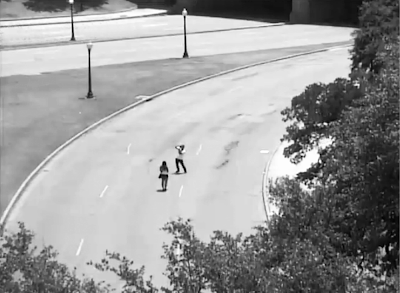 My new book X Marks the Spot combines snapshots taken by tourists at Dealey Plaza with footage from the webcam.